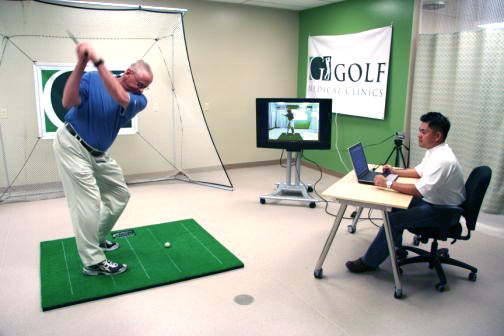 Video capture of the golf swing allows an overall assessment of golf swing mechanics with an additional benefit as an instructional tool for clients. The video capture of the golf swing also helps to explain the detailed analysis received from the AMM-3D system. The golf swing is captured by video in two views, face-on and down-the-line. A CD with a copy of the swing is given to all clients of GOLF Medical Clinics.